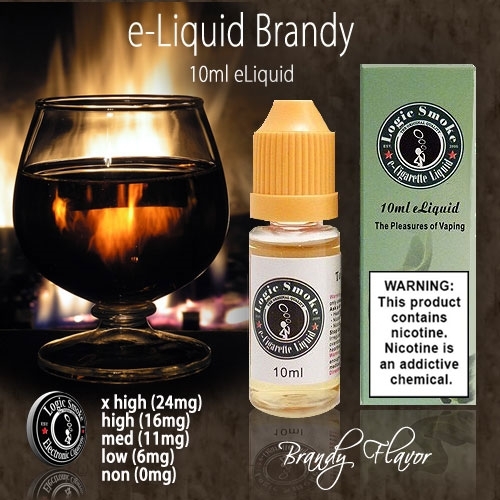 Enjoy our tasty Brandy e liquid flavor, and without the alcoholic side effects, you can enjoy it anywhere, anytime! Fill up your favorite vaping device with Brandy flavored e-liquid and start enjoying. And a few drops to your favorite cigar flavored e-liquid for a unique vaping experience. You'll love it! !